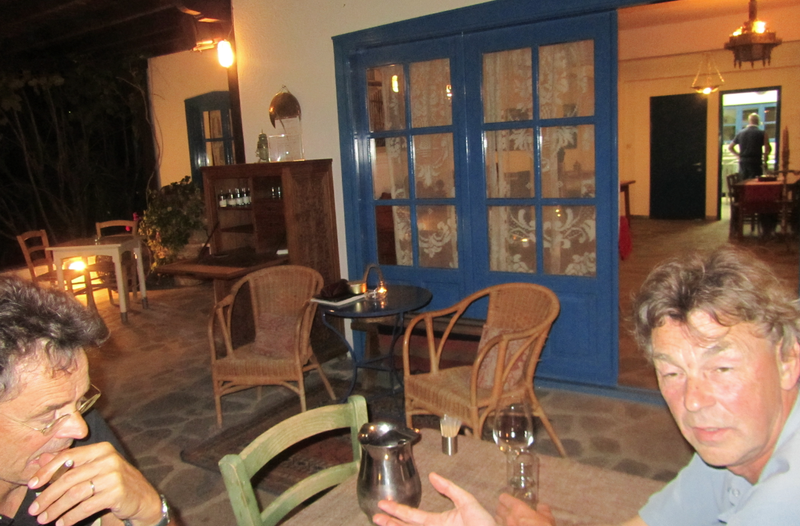 When in Ouranoupolis don’t skip the Skites hotel and bungalows. You can’t miss it when walking to the Mt. Athos border 850 meters from the town. It is perfect place to stay or to eat and drink because totally different from the other standard hotels and restaurants in and around Ouranoupolis. It is nicely designed with a good eye for detail. Very nice people work there which also gives the place a special feel and atmosphere. 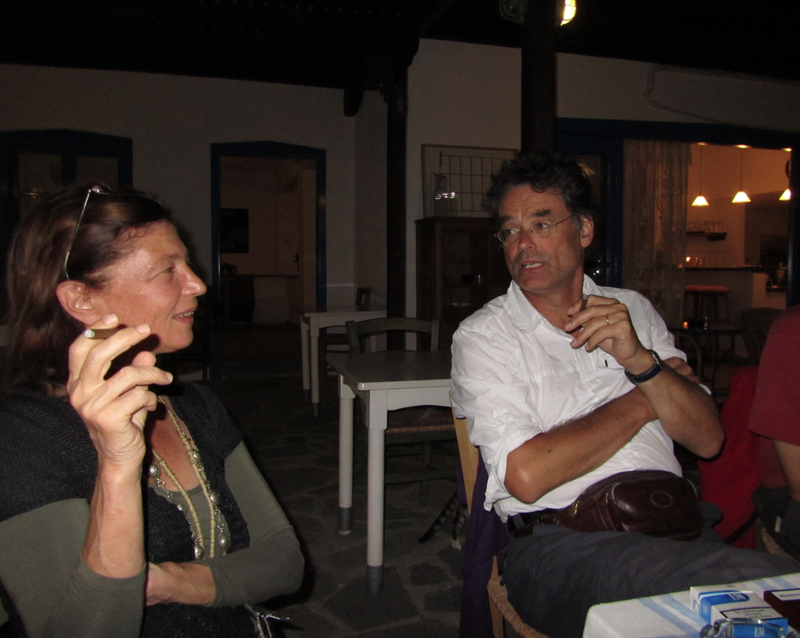 In 2011 we met the owner of Skites, Karin here on the photo with pilgrim Jacques. We had a nice conversation with her switching from English to French and German. 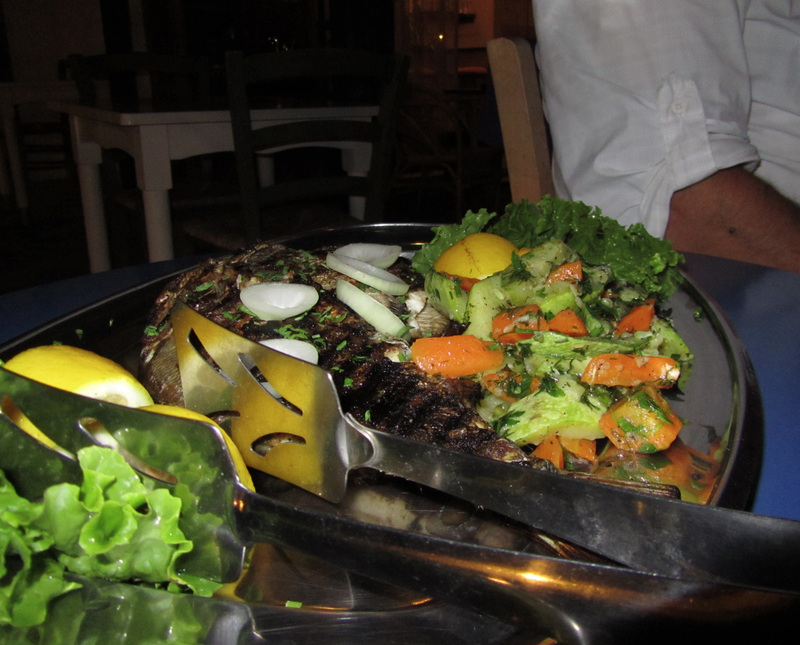 After our 3 Athos days it was a delight to eat a very well cooked fish with vegetables. The cook who made this nice dish is a Greek who studied theology and one day hopes to be a priest somewhere in Greece. Not on the Mountain he told us when we where there in september this year. He had worked as a cook in the famous 5 star Krasnapolsky hotel in Amsterdam. 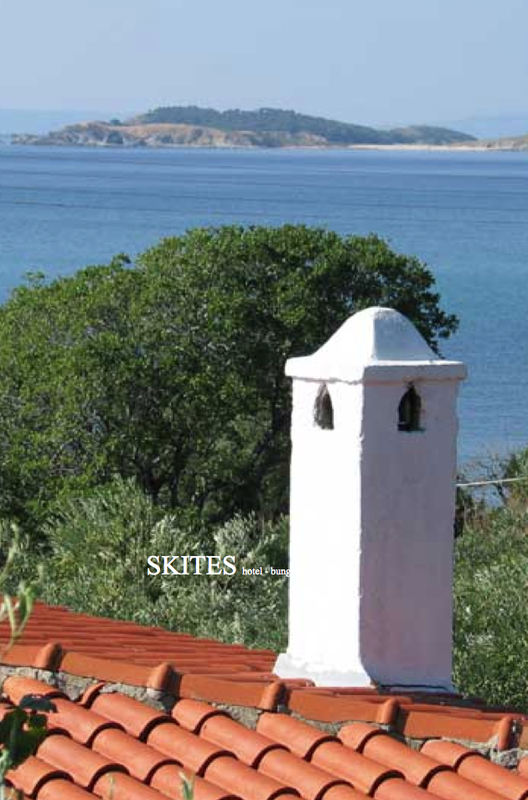 This year, 2013, we again had a nice time at Skites. Karin and the cook were still there and we right away picked up the conversation that we ended in 2011. Very nice food and wine again. Much better then we had in restaurant Kritikos in “downtown” Ouranoupolis which has the reputation to be the “best” restaurant in town. From the bungalows there is a great view on the island of Amouliani. 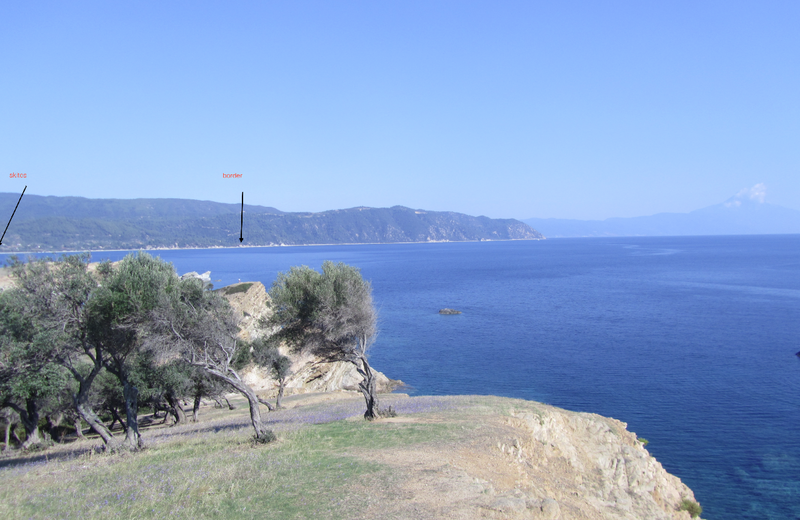 View to the coast seen from the island of Amouliani with in the left corner almost visible Skites Hotel and Bungalows in the middle the border and on the left Mount Athos. We will be back to Skites for sure. This entry was posted in basic information/reservations, border, food and tagged hotel, Skites Hotel. Bookmark the permalink.